The Harvard Club of Naples cordially invites you to join us for lunch and an updated presentation from Mark Strain, Chair of the Collier County Planning Commission. Please join us for Mark Strain's latest update on the challenges facing Collier County, post hurricane IRMA! Hear how the Planning Commission is dealing with the impacts of IRMA as well as wrestling with such issues as aggressive population growth, the infrastructure plans needed to support this growth, and the unique environmental issues that arise from living in Southwest Florida. 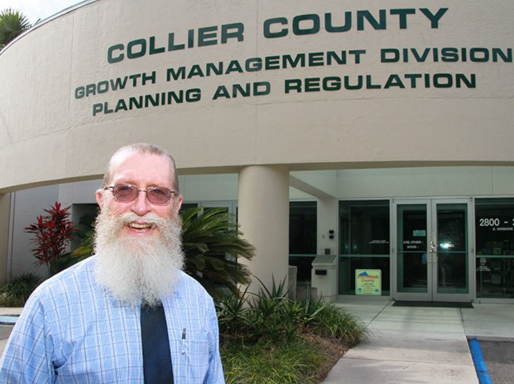 Mark Strain, Chair of the Collier County Planning Commission, brings an experienced viewpoint to these challanges and will provide a detailed roadmap on the Commission's strategies and implementation plans.